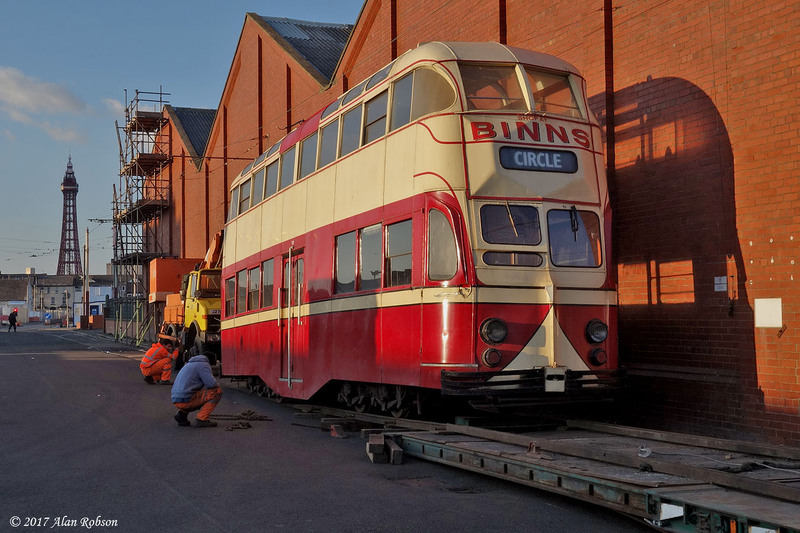 Former Blackpool Balloon 703 has spent several years in the North East of England, providing valuable passenger carrying capacity on the Beamish Museum tramway. During its stay at Beamish 703 has operated in a red and cream livery to represent fictitious Sunderland tram 101. 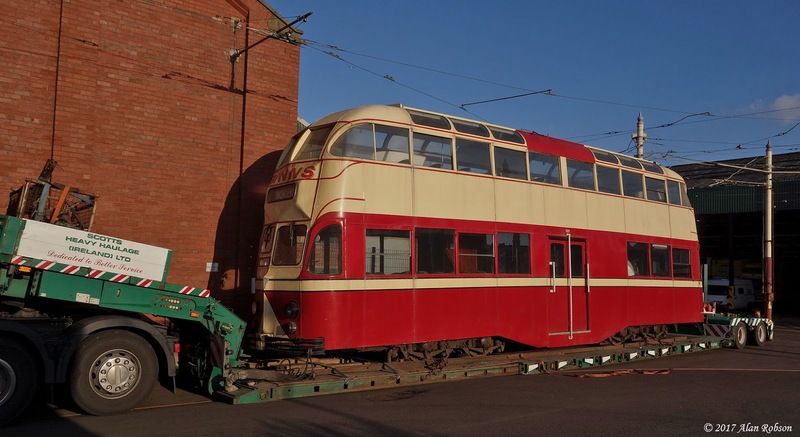 703 had already been withdrawn from service at the museum due to defects, and subsequently it was decided that the two streamlined Blackpool trams were no longer required for their collection. 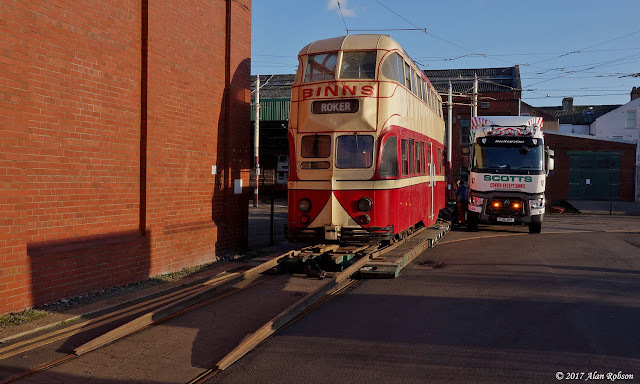 With Brush car 621 already having made the journey home to Blackpool last December, Balloon 703 finally followed in its path over three months later. 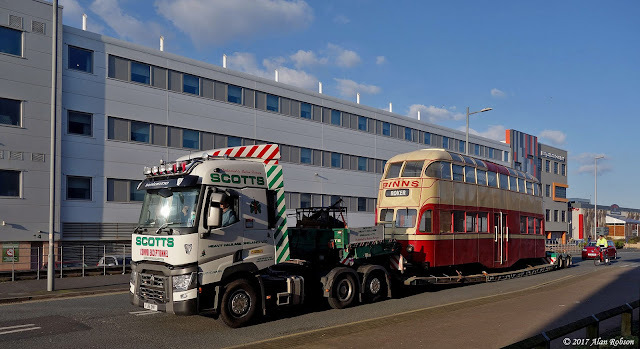 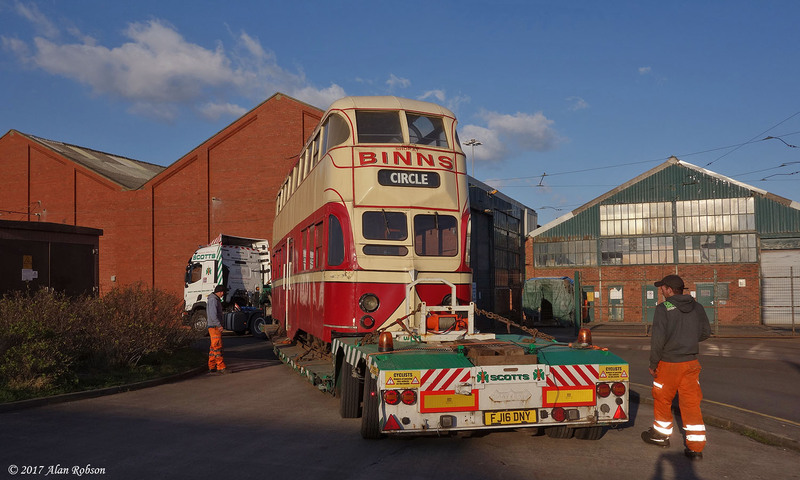 703 had been loaded onto the trailer of Scotts Heavy Haulage at Beamish the previous day, the low loader began the long journey to Blackpool on the morning of 23rd March, arriving at Blundell Street in Blackpool at 5.00pm. 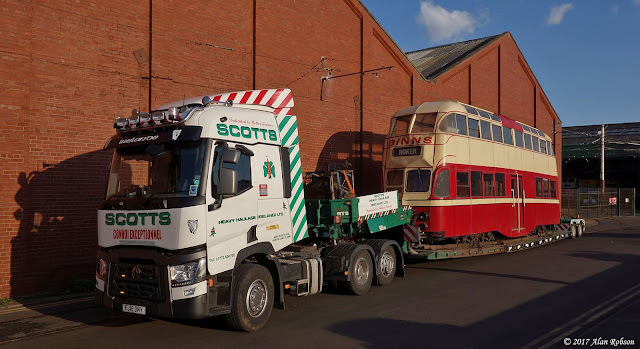 703 was pulled off the low loader by Unimog 939, and shunted into the tram depot after Scotts transporter had departed.